Sky Sports pundit Graeme Souness believes that the current Liverpool squad should be considered as one of the best in the club’s history. Jurgen Klopp’s men are sitting pretty at the top of the Premier League table after six matches as the only team left with a 100% record, most recently securing a 3-0 win against Southampton on Saturday. The Reds have emerged as the biggest threat to Manchester City’s title defence in the early stages of the new campaign and finally seem to have struck the perfect balance between defence and attack on the pitch. With Virgil Van Dijk and Joe Gomez marshalling the defence in front of Alisson in goal, Naby Keita covering the centre of midfield and Roberto Firmino playing through the middle, Liverpool have a strong spine in place, with the likes of Mohamed Salah, Sadio Mane and James Milner all working hard additionally to drive the team forward in wider areas. According to the Liverpool Echo, although the campaign is still very much in its infancy, club legend Souness has extraordinarily claimed that Klopp’s men should already be considered among the very best Liverpool has ever seen, as he stated: “They’ve signed a top goalkeeper. The back four – Alexander-Arnold, Robertson, Van Dijk, Gomez – they could play a decade together. “Van Dijk looks as if he could play until he’s fifty! “This isn’t just the best chance for Liverpool to win the title since the Premier League starter, I’d go further than that – I say this is the best chance they’ve had since Kenny’s team last won it. The Reds will be hoping to continue their winning run against Chelsea in the Carabao Cup at Anfield on Wednesday night, before facing off against the London giants again at Stamford Bridge in the league on Saturday. 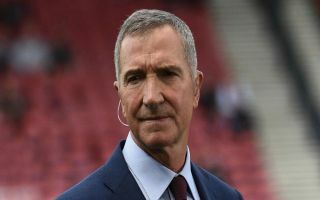 Liverpool will fear no one at this stage and if they can keep their momentum going as the fixtures start to pile up then Souness could end up being spot on in his assessment of the team in the coming months.